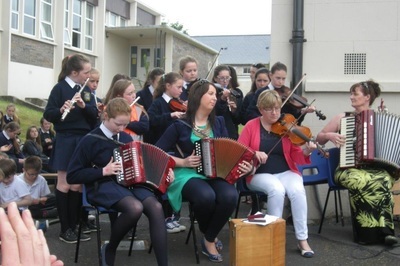 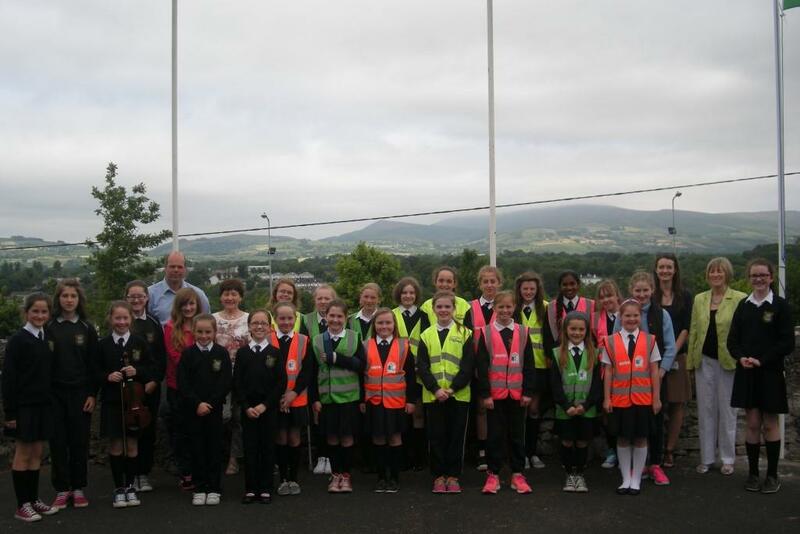 On Friday, June 19th, Bunscoil ba Toirbhirte celebrated two very special occasions. 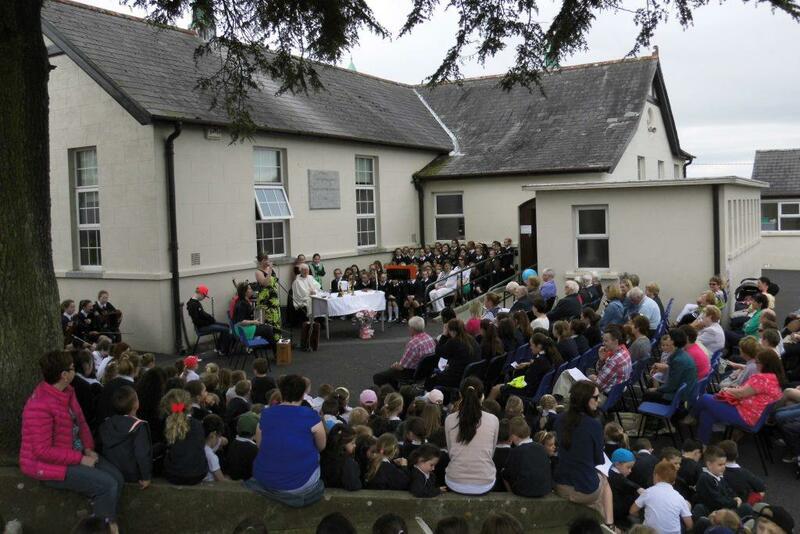 On that day we held our annual end of year school mass. This was a very memorable occasion. 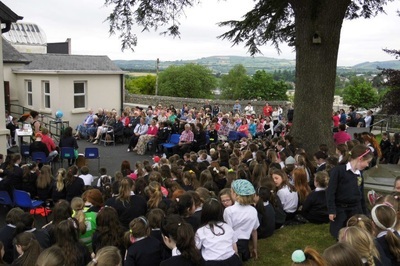 Everyone gathered in the senior yard by the tree and Canon O'Leary celebrated mass, with Ms Hayes, Ms Watson and Ms Lambe leading the choir. 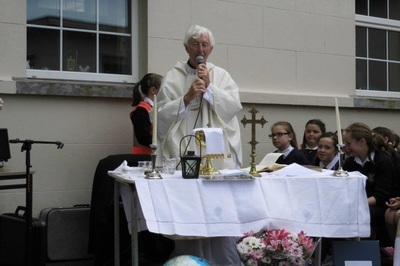 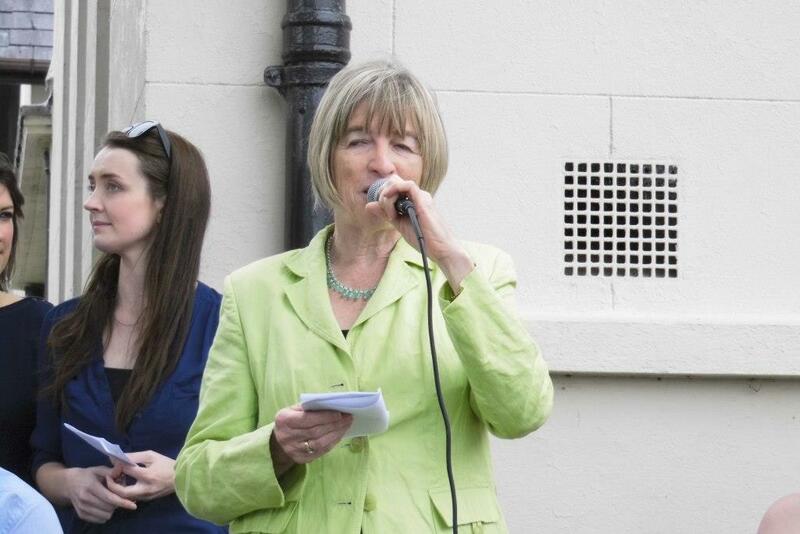 Sr Pepetua O'Dwyer, a former teacher and Principal of our school was fondly remembered. 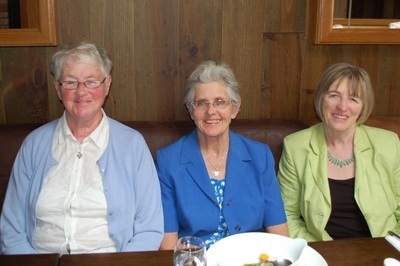 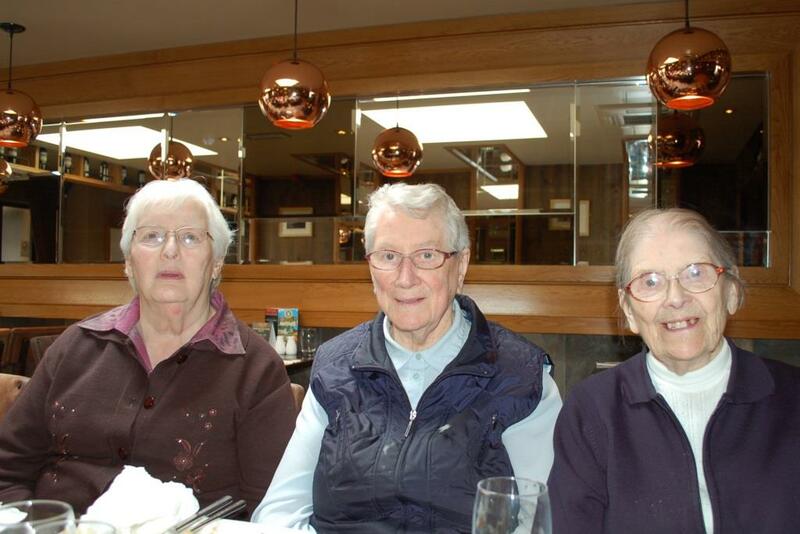 We were joined by the Presentation Sisters who had travelled from Fermoy and Limerick to be with us on the day. 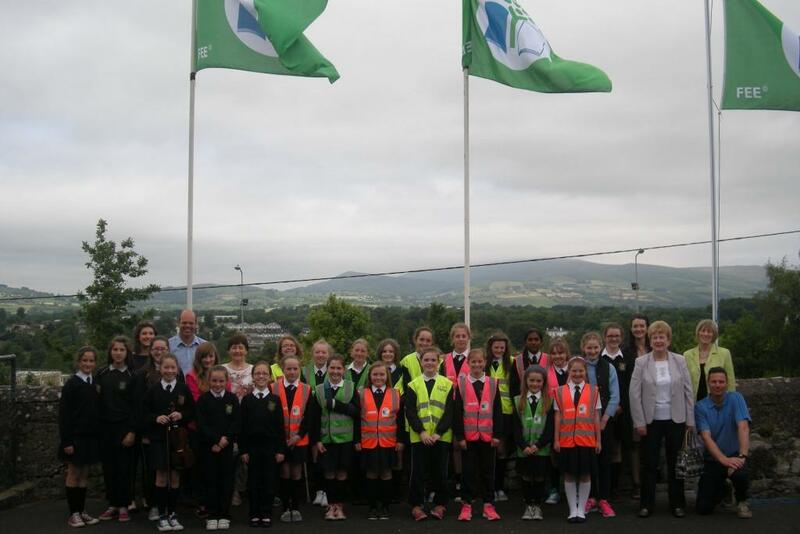 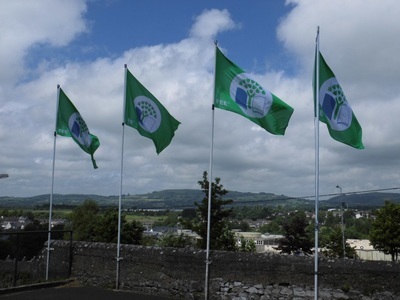 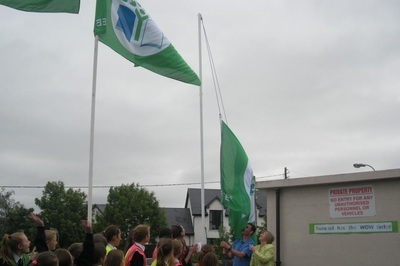 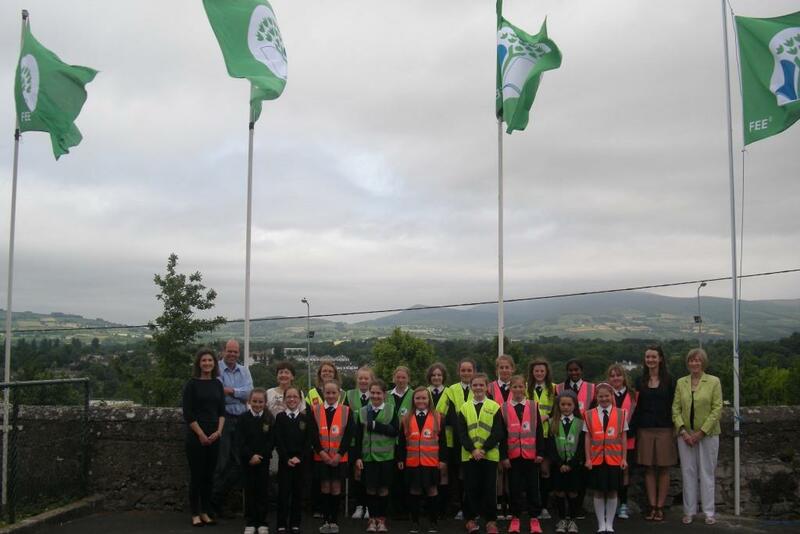 Following the mass the Green School Committee, joined by special guests Hans from An Taisce, Catherine Murphy (our former Deputy Principal) and Bunty Flynn (AROMA) raised our fourth Green Flag to an enormous cheer from all present. 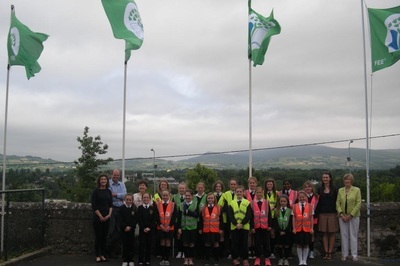 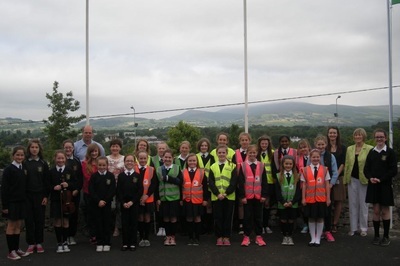 It was a wonderful occasion and we're all so proud of the efforts of the Green School Committee, led by Ms Horgan, Ms Hyland and Ms O'Sullivan who have worked so hard this year.